Scouts of Troop C415 lept into action when Cherry River Elementary School in Richwood, W. Va., was inundated by floodwaters after a two-hour downpour during their Day of Service. Photo submitted by Troop C415. The Scouts, on their own initiative, quickly went to the flooding classrooms and stacked computers and books off the floor. They also stuffed trash bags under doors to seal out the water and prevent it from entering unflooded rooms. &Then they waded through 6-8 inches of water to clear clogged drains and culverts, according to Scoutmaster Pat Tucker. Their unscheduled effort saved much of the school from damage, as noted in the local paper, The Daily Corinthian. "I couldn't be more proud of the boys," says Tucker. 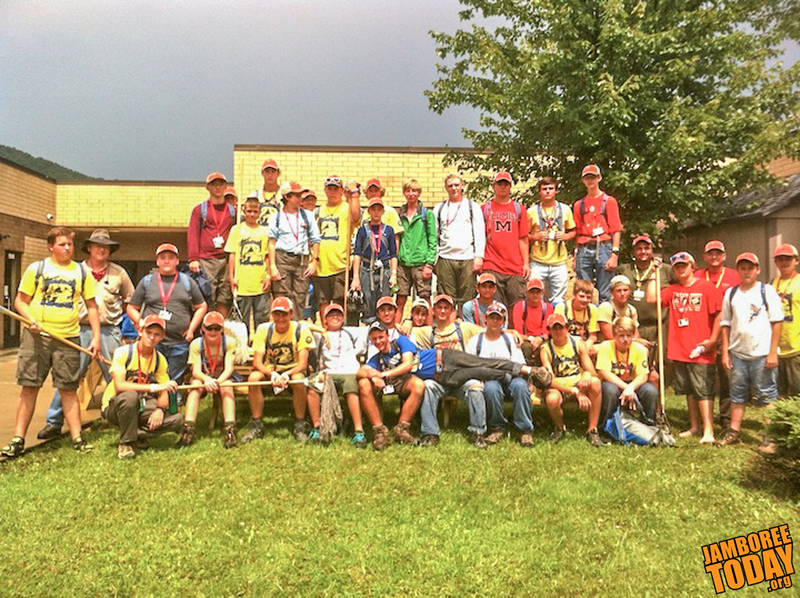 "They did their duty as Scouts and did more than just one good turn that day." As reported by Jebb Johnston in The Daily Corinthian, the school was very grateful to the Scouts for their help and the Scouts were "happy to be of service."